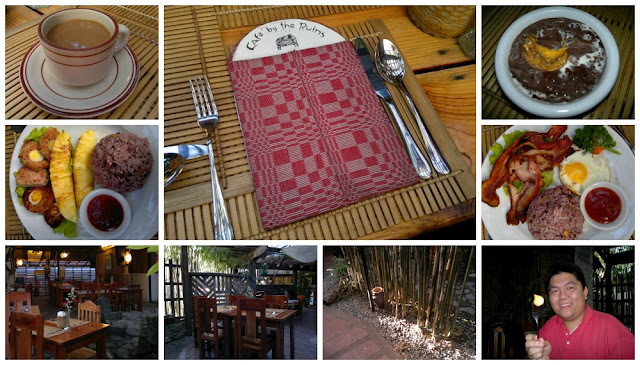 After checking-in our bags at the hotel, we headed straight to Café by the Ruins for breakfast. I read several reviews online about the café so I thought of trying out the place and see what it can offer. The place was the remnant of the old governor's house, though very little of the supposed "ruins" is visible within the café. The interior is of the typical wood-stone-bamboo theme, matched with warm light and Igorot design weaving. They serve breakfast with brown rice and a choice between coffee or tea. Breakfast also comes with a fruit cup. The price range will make you feel you are in Manila, only the place was colder. Overall, there wasn't really spectacular about their breakfast. What I really enjoyed the most was the champorado. The chocolate flavor was very rich because instead of the regular cocoa powder, it was made with pure chocolate tablea. The fried daing na biya made it extra special. Café by the Ruins was worth the try. It is definitely an experience you shouldn't miss when you visit Baguio City. Café by the Ruins is located along Chuntug Street, Baguio City. Easiest way to get there is to take a taxi within the city. Average taxi fare for any destination within Baguio City is Php50.00-Php80.00. For more details, you can visit their website at www.cafebytheruins.com.